Jeremy Lin has been vocal about his issues on the basketball court this season, but now it seems the Christian Los Angeles Lakers point guard is surrendering his game to God. Lin, the 26-year-old Los Angeles Lakers guard, has been having some struggles with his game this season. Lakers coach Byron Scott took the point guard out of the team's starting lineup last Dec, and the basketball player has been vocal about his on court frustrations on his blog. Now, it seems Lin is turning things around while averaging 16.2 points and 4.2 assists after the All-Star break. He recently spoke up about his faith playing a part in his improved game. "When I was a rookie, I put myself through mental torment. I can't do that anymore," Lin said in a Los Angeles Times report. "So now I'm just growing more as a person spiritually and just learning to surrender it all. It gives me a lot of peace, man." Lin explained that he "reset" his mindstate during the All-Star game, which has him playing in more of an attack mode with a "free mind." Most importantly, Lin is remembering his reason for playing, win or lose. "It's like while I'm playing, I'm reminding myself that regardless of the results, just play, play for God," Lin said. "It seems like very basic, but when you care a lot about the game, you really care about the results, obviously." While he is in the final year of his contract, Lin is focused more on trusting God instead of worrying about the future. 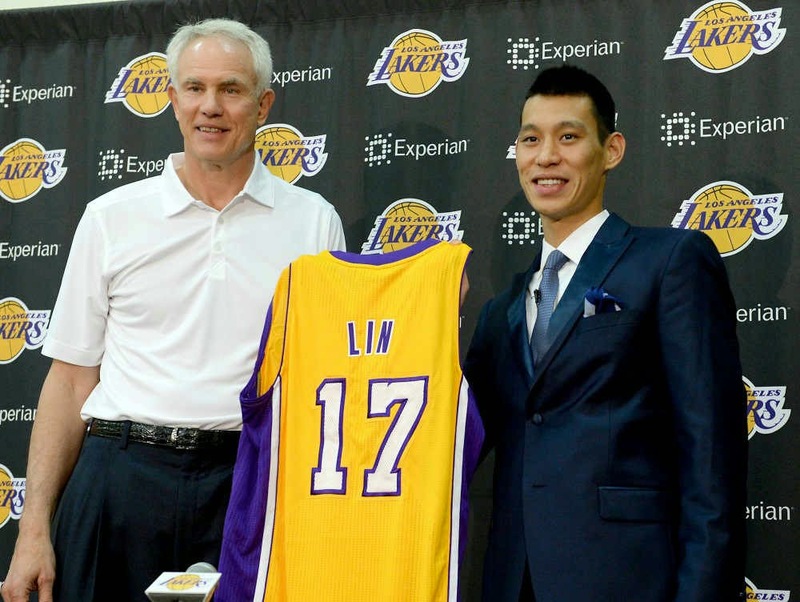 "I never expected to have what I have today, so a lot of it is just trusting," Lin said. "God has always taken care of me. I don't need to stress about it. I really am not worried about it." Last year on his blog, Lin spoke about the importance of finding joy amidst his trials on the basketball court. "There have been many times this past season where I was filled with frustration, many situations where I felt overwhelmed and many nights where I couldn't sleep much because I was thinking about the game," Lin wrote. "But through it all, I've been learning how to surrender the results to God, how to walk by faith and not by sight, how to be renewed through times of prayer/Scripture and how to fight for a life of joy in the midst of trials.